Are you looking for an amazing, professional and fun magician for your event? UK magician Rob James is a modern magician specialising in providing astonishing interactive close up magic and table magic for events across the UK. A member of The Magic Circle, Rob is one of the country's most highly rated magicians for hire and has delighted guests at in excess of 3500 events nationwide. Now booking for 2019 and beyond. - Check availability now > >. ARE YOU IN OR NEAR BRISTOL? I put on this BIG international family magic show every year: www.starsofmagic.co.uk - on from 27-30 December 2018. A full-time professional magician since 2001 - Book with 100% confidence. Call 07748 830644 or fill out the contact form to get a fast quote. Rob James is one of the most popular, fun and amazing close up magicians/table magicians in the UK! To find out more about hiring a close up magician for your event see party magician, corporate magician or wedding magician. Also have a browse through the full gallery and references pages! First prize winner in The International Brotherhood of Magicians Close Up Magic Contest 2015. Top 3 award-winner for the Magic Circle Close up Magician of the Year and the Ron McMillan International Magic Convention Close Up Magic contest. 75% of work comes from repeat clients and word of mouth referrals. One of very few full time close up magicians in the country. Performs at 200 events a year. Delighted clients include Samsung, BBC Bristol and Bath Racecourse. Magic Circle Magician Rob James is an expert performer of amazingclose up and table magic for adult audiences at corporate events, dinners, parties and weddings across the UK as well as internationally. Looking for a Table magican Bristol? Close up magician Bath? Wedding magician Cardiff? Street magician Swindon? Rob James is the Magic Circle close up magician for you! Prices and costs for magicians: How much do table magicians cost to hire? If you are looking to hire a close up magician, street magician or table magician for your event in the UK then please get in touch. If Rob is available to book for your function then you will be provided with a quote within 12-24 hours. Or, alternatively for an instant price quote for a table magician please call. Prices for magicians. After dinner show? Read more about Rob James' amazing after-dinner cabaret magic show. Close up and Table Magic: A magician performing tricks (card tricks and mind reading tricks, that sort of thing) at a table is generally referred to as close up magic or as table top/ tabletop magic. In recent times more funky close up magicians have been referred to as performing street magic. Magician for parties London: If you are looking to hire one of the best close up magicians for your wedding, party or event in London, the South East, the South West, the North West, the Midlands, South and North Wales then please look through the site and fill in the enquiry form - you will get a quick reply! Based in Bristol and working as a Close up Magician Bristol. Rob primarily covers the area from Cardiff to London on the M4 (taking in Newport, Bath, Swindon, Newbury, Reading, Windsor and central London) and from Exeter up to Birmingham on the M5 (ie. Taunton, South Gloucestershire, Cheltenham, Tewksbury, Warwickshire) - Rob performs across the country so please feel free to get a quote regardless of your event's location. Rob James is a magician in Bristol and as such available for events in the south west but also travels extensively across the UK. Distance no object! (Honestly! Rob has been booked to perform Luxembourg, Copenhagen, Los Angeles, Paris ... so a 90 minute trip down the M4 is not much of a problem! Street Magician : Close up magic performed in a modern way in informal environments by a magician is sometimes these days referred to as Street Magic. Rob James has been a table magician for hire for 14 years. As a member of The Magic Circle and a full time magician, you can guarantee that everyone will love his up close magic. Rob does not just do card tricks but fun, interactive and astonishing magic! Have you ever hired a magician before? The process can be a bit daunting as there are lots of close up magicians advertising online. 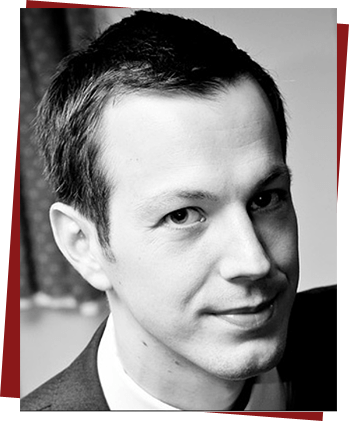 Rob promises to offer a friendly informal chat about your requirements, whether you be planning a wedding, need a magician for a party or a corporate event, he is happy to advise on the best way to utilise his performance.